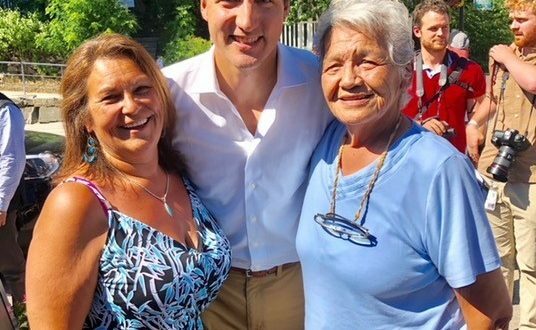 My mother and I (Dawn Tabobondung) had the pleasure of meeting Justin yesterday. Presented him with a medicine wheel representing reconciliation. Francis Pegahmagabow great granddaughter made for him for me to give him. He has a kind and gentle spirit.